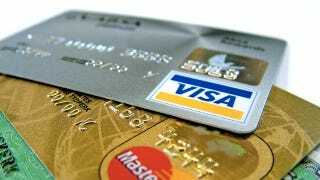 The WSJ is reporting that many banks are thinking about creating a limit on how much you can spend on your debit card. For example, banks like JP Morgan Chase & Co are thinking about setting a $100 maximum per transaction. Why the hell would they do this? Well, the new debit card rules, known as the Durbin Amendment, which will take effect in July are going to make debit-cards extremely unprofitable for the banks. The new rules basically reduce the fees associated with debit card usage, which is good for small businesses, but terrible for the banking industry. In fact, with the new rules in effect, the entire industry could lose $15.2 billion a year in revenue. And we all know Banks don't want to lose money! So their solution is to limit your usage of debit cards (with that proposed maximum) to move you over to the more profitable credit and charge card business. A cunning don't-spend-your-money-spend-ours-and-rack-up-debt move. Other ideas they're tossing around right now is to limit the number of debit card purchases one can make in a month, charge a fee to the consumer for each debit card transaction and break down debit-card services into different parts and charging merchants separately.